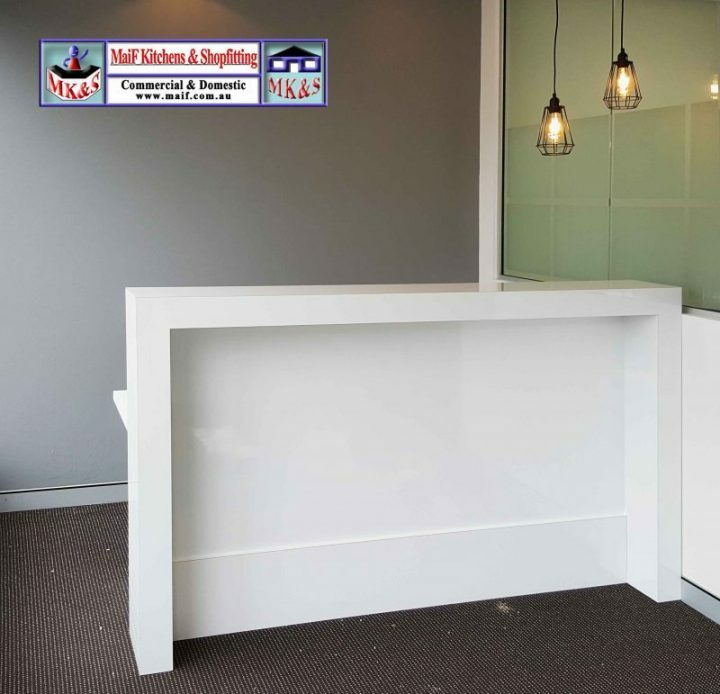 John and Sally Khadi from Structural Building Management were look for a new white gloss reception desk for their office, and they didn’t need to look any further. Out of our range, they chose the Tonnille reception desk. This desk suited their needs for sizing, colour, durability and design. A very popular desk, the Tonnille is a compact desk with a large panel for brand display at the front. It features a simple, elegant design, in white or black gloss. The desk is made of HMR board. It is finished with gloss hard wearing laminate. These two features mean that the Tonnille will last a long time under normal desk use. Yvette and Nick needed a physiotherapy reception desk. 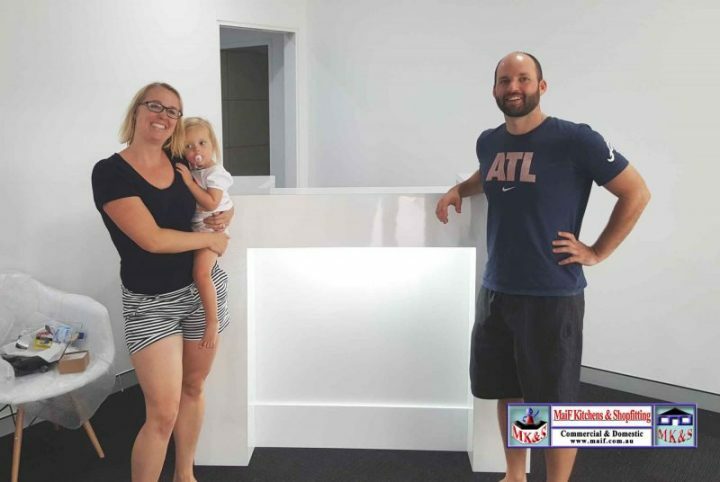 Pontifex physiotherapy was opening a new practice in sutherland and needed a nice new reception desk for their new premises. Nick and yvette were combining a small custom version our Wembley reception desk with Ikea’s office lounge. Their office colour theme was white on grey which looked very nice, and accentuated by the gloss white Wembley.